When will my book and files ship? All purchases from the jirastrategy.com website are in digital format and are available for download immediately. No items will be shipped to your physical billing address. How do I access downloadable files? On the purchase confirmation page, click the grey order "Details" button. In an email from info@jirastrategy.com with the subject line "The virtual product that you bought is available for download." On the "Order History" page, click the grey order "Details" button. Yes, simply login to your jirastrategy.com account to access all order invoices. In your account, click "Order History and Details." Look for the "Invoices" column to access the PDF file for each order. See the "Invoices" column in the screenshot above labeled "Order History Details Button". 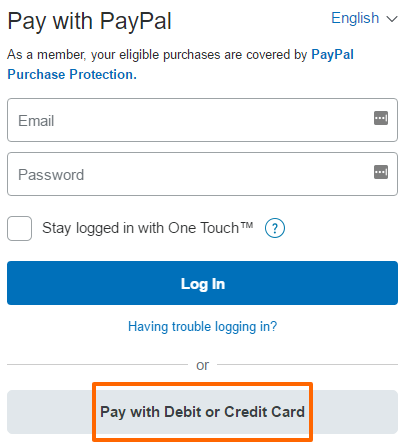 You'll also receive an order confirmation email from PayPal. Do you offer a Kindle version? What Kindle versions are supported? You can see the list of supported devices on the Amazon product page. Visit https://amzn.to/2Ffv0qv and click the "Available on these devices" link below the product description. Also see Amazon's list of compatible Kindle Cloud Reader browsers. Is this workbook useful for JIRA Admin Certification preparation? The JIRA Strategy Admin workbook is about what admins should and shouldn't do in their application. As part of the strategy recommendations, it covers admin concepts, which is what the JIRA Certification exam is about. When I started writing the book, there wasn't a certification, so I definitely didn't write it for that purpose. But I do think the book makes a great companion to the existing Atlassian documentation and certification study materials. There's more info about the book and its contents here. I wrote this because I knew I wasn’t the only person to inherit a messy configuration. I want to keep others out of what I call the “JIRA swamp” or, if you’re already in it, help dig you out. What was the hardest part about writing the book? Certainly not writing about JIRA - I love talking about anything JIRA related! The hardest part was fighting with the Table of Contents and Index features of Microsoft Word. The initial drafts of the book were written in Confluence and progress was tracked in JIRA! The entire project (the book, materials, website, and store) took 2 years to complete. The digital version (a color PDF) is available for immediate download from the jirastrategy.com store. A print version (a black and white physical book) and a Kindle version is available on Amazon. Where can I learn more about the book? You can view the Table of Contents, listen to the Introduction, or download Sample Chapters. Where can I learn more about the author? Read About Rachel Wright. Connect with the author on Twitter, LinkedIn, or in the Strategy for JIRA LinkedIn Group. How do I schedule a speaking engagement, interview, or appearance? Please see the Press Kit page.